A new UCLA psychology study provides evidence that being overweight makes people tired and sedentary — not the other way around. 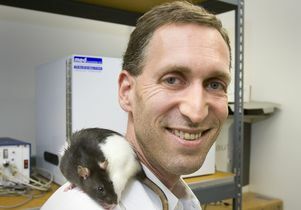 Life scientists led by UCLA's Aaron Blaisdell placed 32 female rats on one of two diets for six months. The first, a standard rat's diet, consisted of relatively unprocessed foods like ground corn and fish meal. The ingredients in the second were highly processed, of lower quality and included substantially more sugar — a proxy for a junk food diet. After just three months, the researchers observed a significant difference in the amount of weight the rats had gained, with the 16 on the junk food diet having become noticeably fatter. "One diet led to obesity, the other didn't," said Blaisdell, a professor of psychology in the UCLA College of Letters and Science and a member of UCLA's Brain Research Institute. The experiments the researchers performed, Blaisdell said, also suggest that fatigue may result from a junk food diet. As part of the study, the rats were given a task in which they were required to press a lever to receive a food or water reward. The rats on the junk food diet demonstrated impaired performance, taking substantially longer breaks than the lean rats before returning to the task. In a 30-minute session, the overweight rats took breaks that were nearly twice as long as the lean ones. The research is currently online and is scheduled for publication in the April 10 print edition of the journal Physiology and Behavior. After six months, the rats' diets were switched, and the overweight rats were given the more nutritious diet for nine days. This change, however, didn't help reduce their weight or improve their lever responses. The reverse was also true: Placing the lean rats on the junk food diet for nine days didn't increase their weight noticeably or result in any reduction in their motivation on the lever task. These findings suggest that a pattern of consuming junk food, not just the occasional binge, is responsible for obesity and cognitive impairments, Blaisdell said. "There's no quick fix," he noted. What are the implications for humans? Do people who are overweight become less healthy or do less healthy people become overweight? "Overweight people often get stigmatized as lazy and lacking discipline," Blaisdell said. "We interpret our results as suggesting that the idea commonly portrayed in the media that people become fat because they are lazy is wrong. Our data suggest that diet-induced obesity is a cause, rather than an effect, of laziness. Either the highly processed diet causes fatigue or the diet causes obesity, which causes fatigue." Blaisdell believes the findings are very likely to apply to humans, whose physiological systems are similar to rats'. 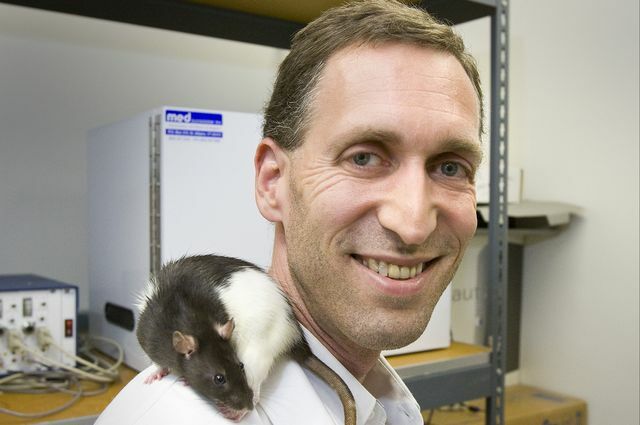 Junk food diets make humans — and rats — hungrier, he said. In addition, the researchers found that the rats on the junk food diet grew large numbers of tumors throughout their bodies by the end of the study. Those on the more nutritious diet had fewer and small tumors that were not as widespread. Blaisdell, 45, changed his diet more than five years ago to eat "what our human ancestors ate." He avoids processed food, bread, pasta, grains and food with added sugar. He eats meats, seafood, eggs, vegetables and fruits, and he has seen dramatic improvements in his health, both physically and mentally. "I've noticed a big improvement in my cognition," he said. "I'm full of energy throughout the day, and my thoughts are clear and focused." An expert in animal cognition, Blaisdell conducts research that addresses the relationship between health and lifestyle (diet and exercise) and the relationship between a junk food diet and cognitive impairments it may induce. "We are living in an environment with sedentary lifestyles, poor-quality diet and highly processed foods that is very different from the one we are adapted to through human evolution," he said. "It is that difference that leads to many of the chronic diseases that we see today, such as obesity and diabetes." Co-authors of the research are Yan Lam Matthew Lau, Ekatherina Telminova and Boyang Fan, UCLA undergraduate students in Blaisdell's laboratory; Hwee Cheei Lim, the manger of Blaisdell's lab; Cynthia D. Fast, a UCLA graduate student in the lab; Dennis Garlick, a postdoctoral scholar in the lab; and David Pendergrass, a biology professor at the University of Kansas. The research was funded by the National Science Foundation and by entrepreneur Cameron Smith. Aaron Blaisdell is a professor of psychology at UCLA.